Charles Fremantle was born in ‘The Old House’ on 1 June 1800. His middle name was given in honour of Admiral Lord Richard Howe, who had defeated the French off Ushant in the ‘Battle of the Glorious First of June’ 1794, exactly six years earlier. He first went to sea with his father, Captain Thomas Fremantle, at the age of 10, and then served under Nelson’s flag Captain, Thomas Hardy. He joined his father’s flag-ship the Rochester in November 1818, where he would have soon been promoted to flag lieutenant had his father not died a year later. However, Thomas Fremantle’s successor in command of the Mediterranean, Sir Graham Moore, soon promoted him to this position and then in 1822, he became a Commander. Whilst serving in the Coastguard Service on the south coast of England, he became the first person to be awarded a gold medal for gallantry by the Royal National Institute for the Preservation of Life (later to be known as the Royal National Lifeboat Institute or RNLI) for his action in swimming out to take a line to a Swedish brig wrecked off the coast of Christchurch. This act of bravery probably hastened him getting his first command, of the sloop Jasper, in which he was involved in fishery protection for the next 2 years. Shortly after this, he was promoted to Captain, and was given command of the frigate Challenger. He was sent to the Cape of Good Hope, initially to relieve another ship, the Tweed, which was due to sail to Australia, to take possession of the West Coast of Australia, and prepare for founding a settlement there. But in the event, it was Charles Fremantle in the Challenger who was given this task. Fremantle arrived at the entrance to the Swan River on 25th April 1829, entering the river itself on 2nd May, and formally took possession of the whole coast in the name of King George IV. The next month was spent exploring the area, and mapping out the coast, before another ship, the Parmelia arrived with the Governor, Captain Stirling, and the first settlers. On the King’s birthday, 12th August, the city of Perth was founded about 10 miles upstream. Captain Stirling also decided to create a port near the mouth of the Swan River, which he named Fremantle. Charles Fremantle spent the next three years visiting ports around the Indian Ocean and as far as China, sending back reports on what he found there, including a recommendation that Kowloon would make a good place to establish a British port. He returned to Britain, by way of Australia, including a return to Fremantle, the port named after himself, and also New Zealand, Tahiti, the Pitcairn Islands, and Valparaiso. He arrived back in Portsmouth in June 1833, having circumnavigated the globe. He spent the next 10 years ashore on half-pay. During this time, he married a wealthy widow, Isabella Wedderburn. 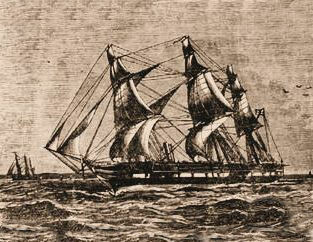 He returned to sea in 1843 in command of a 36-gun frigate, serving in the West Indies and the Mediterranean, and then in 1846, transferring to the Albion, a modern 90-gun ship of the line. He eventually returned home at the beginning of 1848, for a further lengthy period of shore-leave. 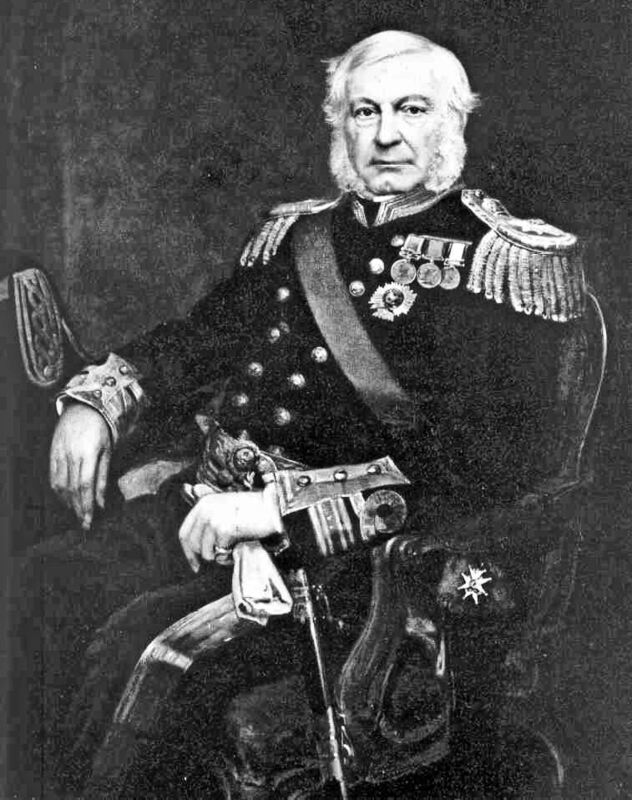 He was promoted to the rank of Rear Admiral in 1854, and then a year later in April 1855, was appointed Flag Officer at the harbour at Balaclava on the Crimean Peninsula, succeeding Rear-Admiral Boxer who had died of cholera. The war against Russia was into its second year, and the provision of support to the British Army all had to come through this port. There had been many problems over transportation, and Fremantle was put in charge of sorting these out, a task that he had not been expecting. However, he succeeded in bringing some order to the chaos, and keeping supplies moving as required. When the war finally came to an end in 1856, it was his task to see the speedy and safe evacuation of the army and all those who supported it, (including Florence Nightingale, who was reluctant to go until everyone else had left). After this, the rest of his naval career was low key. He was in charge of the newly-formed Channel Squadron from July 1858 to October 1860, and of Devonport from October 1863 to 1866. He refused to retire, so remained on the active list long after he was actively employed, eventually rising to head the top of the list of Admirals. He died on London in 1869, being buried in Brompton Cemetery.